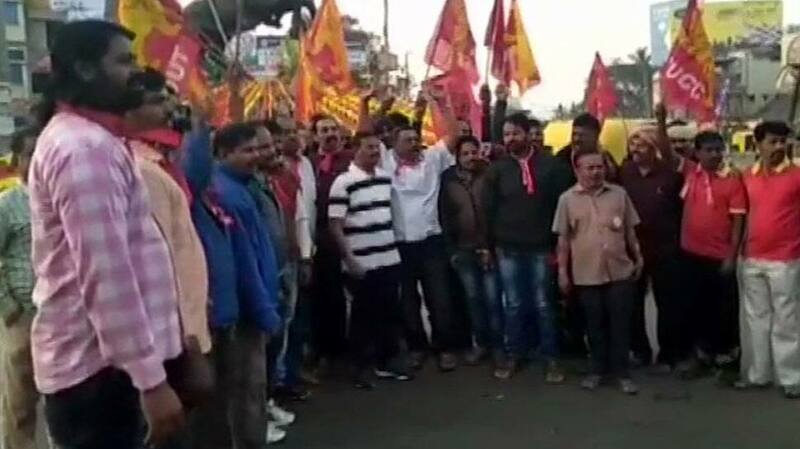 The two-day-long nationwide strike called by central trade unions against the alleged repressive policies of the Narendra Modi-led union government has begun to affect the normal lives in several states. 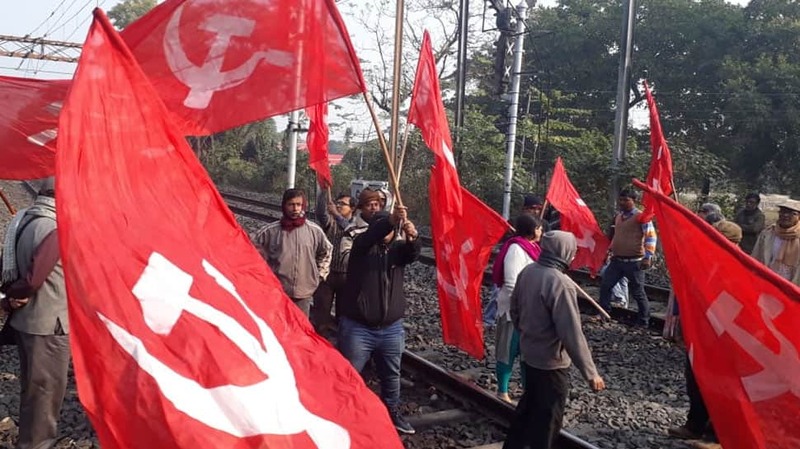 The 48-hour-long strike appears to be having a major impact in Left-dominated states of Kerala and West Bengal. 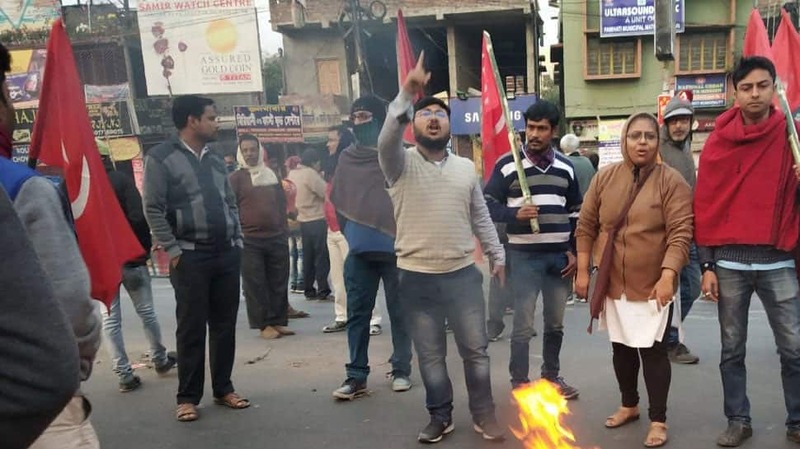 The strike is quite visible in other states like Assam, Meghalaya, Karnataka, Manipur Bihar, Rajasthan, Goa, Punjab, Jharkhand, Chhattisgarh and Haryana. 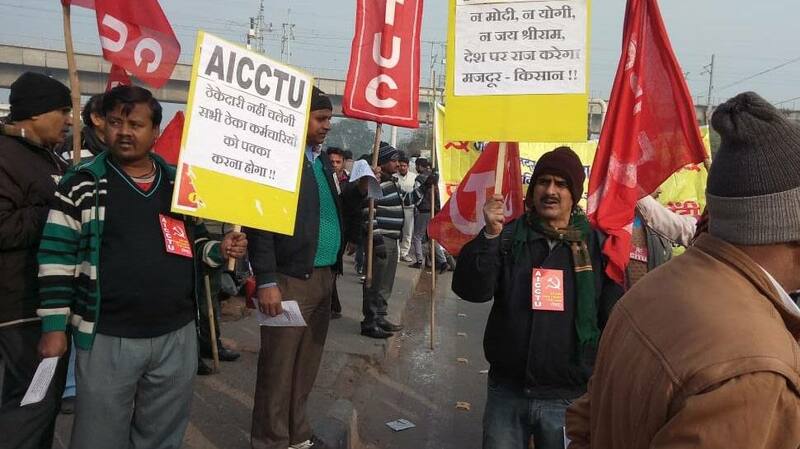 (In Pics: AICCTU members hold a protest in Delhi's Patparganj). 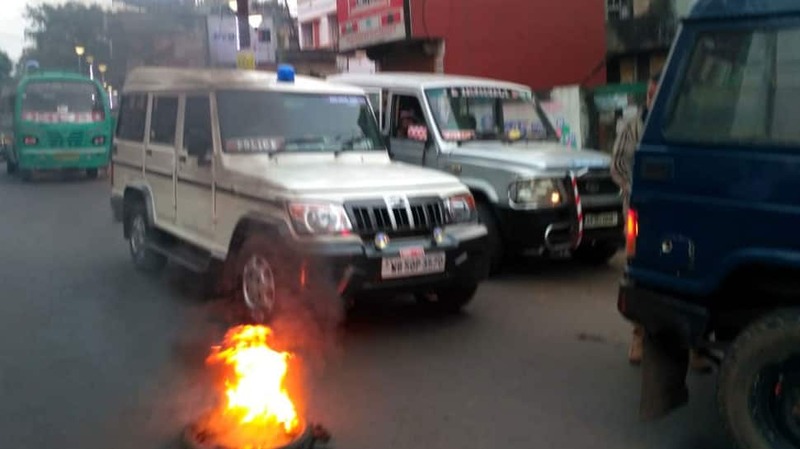 Here are some more visuals of Bharat Bandh in Odisha. Bharat Bhandh in Karnataka's Hubli. The two-day general strike has been called by ten major trade unions. Nearly 20 crore employees from state governments and central government departments are supporting the two-day general strike. Here are some visuals from Guwahati where protesters took out a march against Narendra Modi's government's alleged anti-labour policies. The two-day strike has received support from various farmers' outfits. 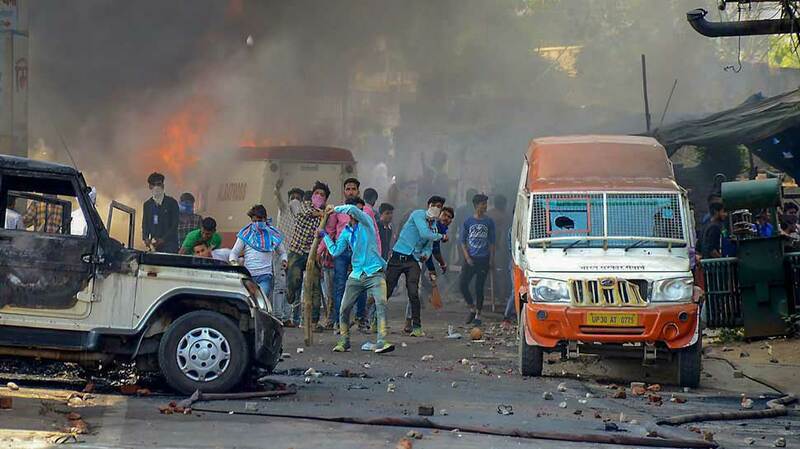 Here are some more visual of protests during Bharat Bandh in West Bengal. 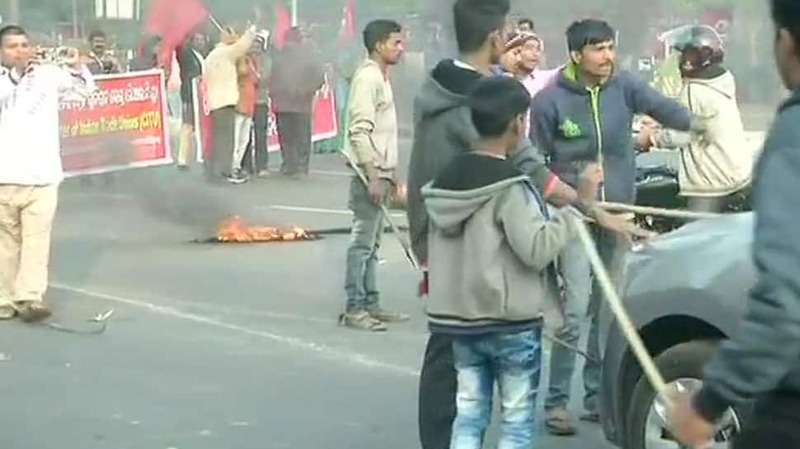 Supporters of Bharat bandh vandalised school buses, govt properties and blocked railway tracks in West Bengal. 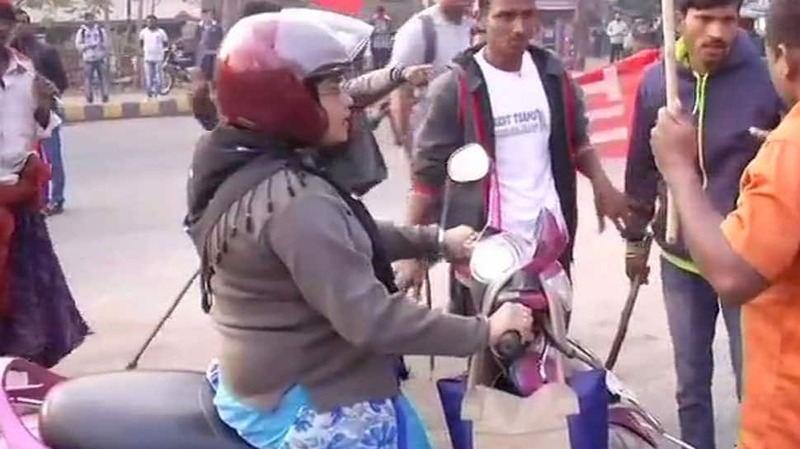 Several protesters were detained in West Bengal. The two-day strike called by major trade unions affected normal life in West Bengal.